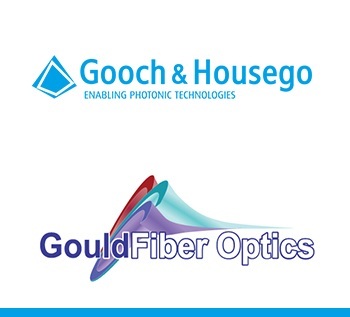 Gooch & Housego has acquired US fiber optic components and sub systems specialist Gould Fiber Optics. This acquisition will strengthen G&H’s position as the world leader in fused fiber optic technology and provides enhanced access to strategic US Aerospace & Defence customers. Founded in 1978 and headquartered in Baltimore, MD, USA, Gould Fiber Optics is a market leading supplier of key enabling components into tier 1 US Aerospace and Defense customers. The Gould product range is highly complementary to that of G&H. Whilst G&H is the leading manufacturer of high reliability undersea fused fiber optic components, together with a strong presence in the life sciences and fiber laser markets, Gould specializes in the supply of polarization maintaining fiber components to the US defence market. This acquisition enables G&H to take another step towards meeting its strategic objective of further diversification in its core markets. GFO brings the technology and routes to market required for G&H to access the US Aerospace and Defence fiber optic market, an area that had previously been largely denied to the Company, due to International Trade in Arms (ITAR) regulations. In turn G&H’s much larger US sales and business development resources and the combined broader based product portfolio should provide the platform for greater expansion within this sector.